Since Supreme Court Judge Justice Oswell Legall handed down his decision on April 16 declaring all offshore oil contracts “unlawful, null and void” and an injunction restraining the government, the servants and agents of the Government of Belize has refused to ensure compliance with the ruling. 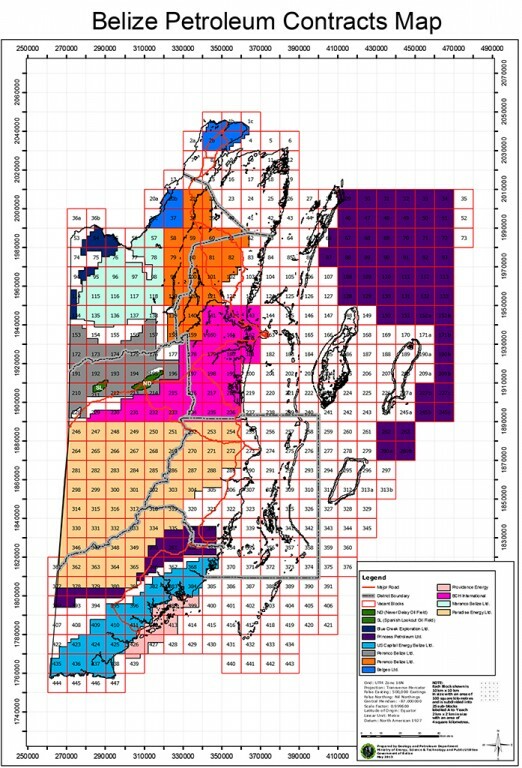 The most recent outright disregard for the ruling is exhibited by this week’s release of the Belize Petroleum Contract Map dated May 2013 which is after the April 16 court ruling. The map clearly shows Princess Petroleum Ltd and Providence Energy Ltd. with their full offshore oil block in tact as if there was never a ruling even declaring said contracts unlawful, null and void. “This action by the Government’s servants, the Petroleum and Geology Department under the Ministry of the Energy is a flagrant disrespect and disregard for our courts, since Belizeans must keep in mind two principles of law: 1. courts do not make rulings in vain and 2. No court in making a ruling against a Government or the crown needs to take coercive action to force the administrative arm of the state to obey a decision of the judicial arm of the state,” explained Audrey Matura Shepherd, VP Oceana in Belize. The release of the map comes before the Government’s appeal can be brought before the Court of Appeal and before Chief Justice Benjamin can even give a pronouncement on the ongoing case in which the Government is seeking a removal of the injunction issued by Justice Legall. Oceana calls on the Government, and especially the Prime Minister of this country, who is an attorney and officer of the court not to destroy our constitutionally accepted principle of Rule of Law and to reconsider the message it is sending to the nation when it elects to become the violator of our court judgments. Belizeans are likewise called upon to denounce this act by the Government and demand good governance from their duly elected members of parliament. “We are entering a very dangerous era in our young democracy when a Government is adamantly trying to convince the people of this nation that they are above the law and do not have to obey court rulings, their reason for their disagreement with the ruling needs to be ventilated at the Court of Appeal because at all times we must seek to settle our differences in a civilized and responsible manner, thus we have our judiciary, not by being outright defiant,” explained Matura-Shepherd.